Hi, everyone! How's your day? 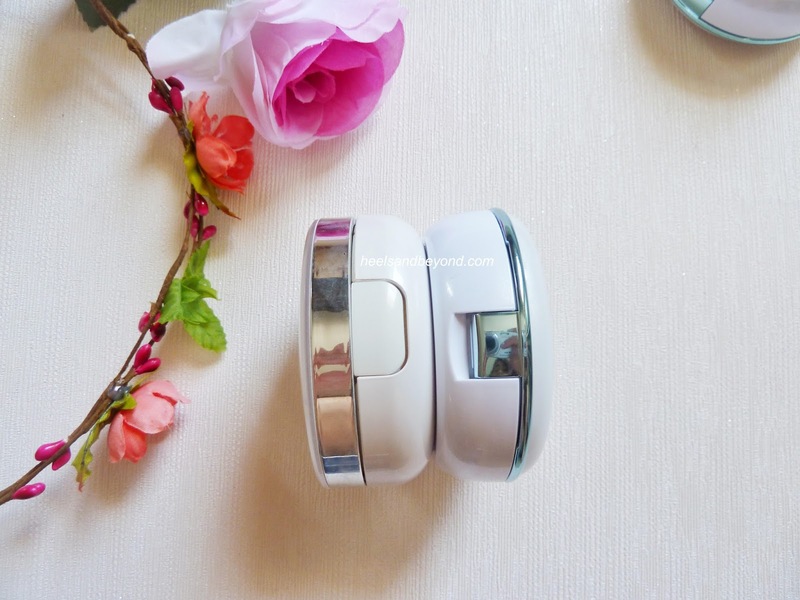 It's been a while since the last time I'm doing a product review. 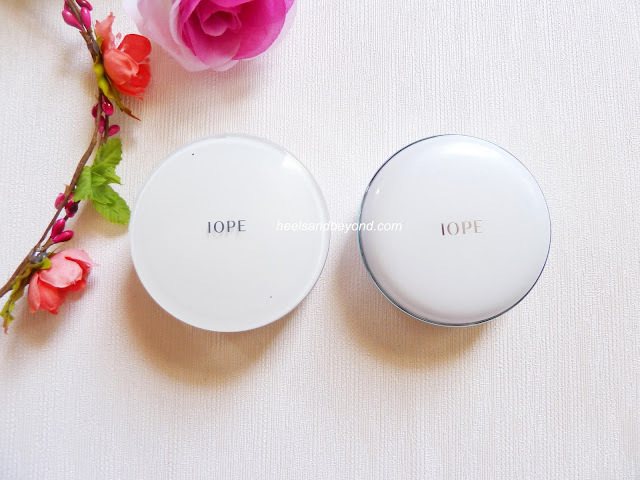 This time I'm going to review NEW 2016 IOPE Air Cushion. 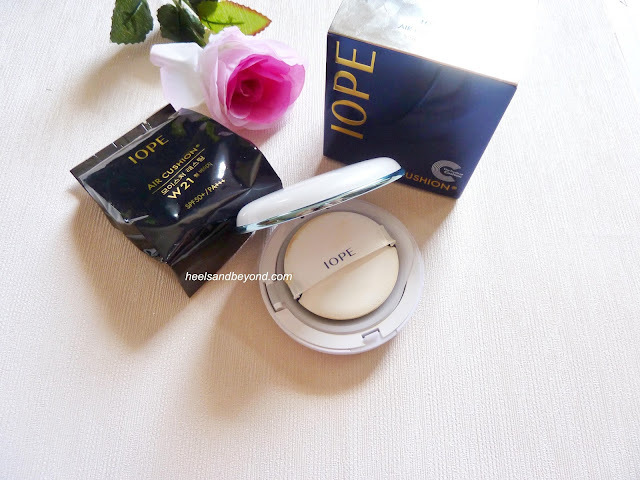 I've been using this product for 2 years, and I really am satisfied with the result. I tried other BB Cushions, but always ends up disappointed and back to IOPE (this is not a sponsored post, it's truly my honest opinion). 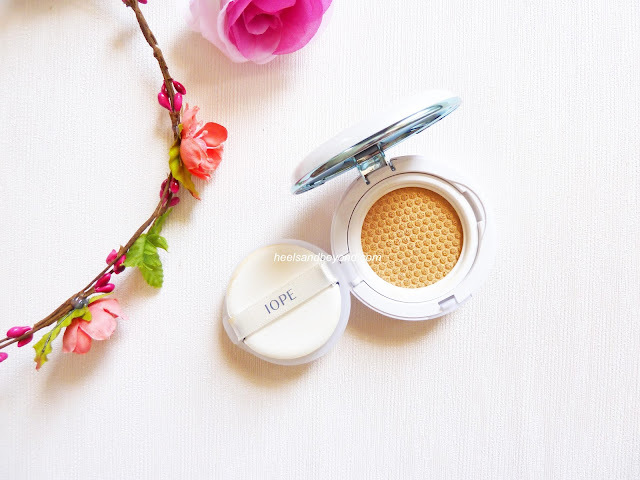 IOPE is a brand of Amore Pacific, one of the most best-seller air cushions in Korea, even 1 product sold every 4 seconds in 2014, over 20 Million units sold in 2015, and many more of their achievements. 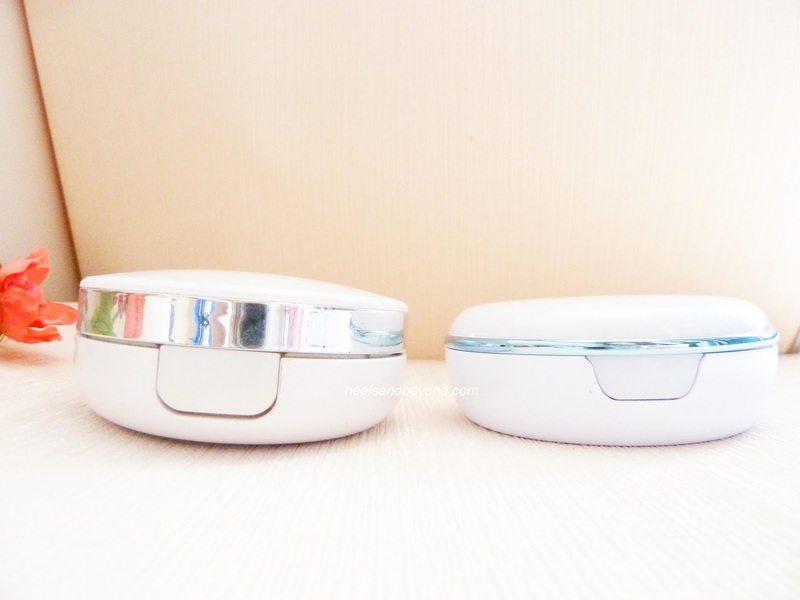 Natural Glow (Grey case), Moisture Lasting (Blue case), Matte (Silver case) and Intense Cover (Rose Gold). I choose the moisture lasting finish in shade W21. The packaging is still the same from the box, but the new case is really different from the old one. It's shorter, lighter and smaller. So, the new refills will not fit into the old case, you have to buy the new one. I don't mind, because mine almost broken after 2 years of usage. This is one of the benefits of the new one, it absorbs the liquid foundation really well, I just prefer if it's bigger like the old one. 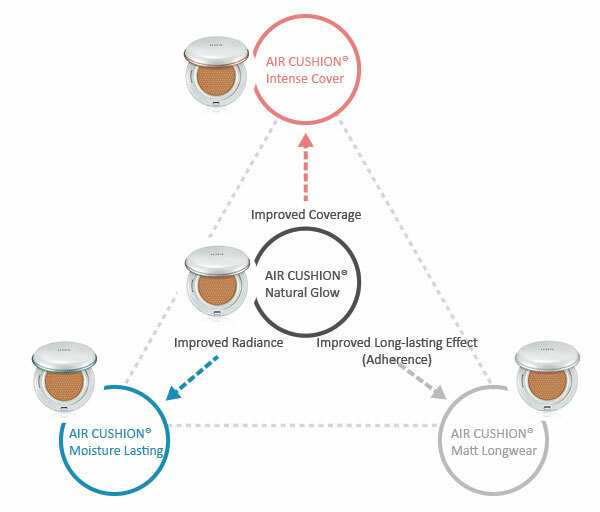 The new shades have three tone category: Cool, Warm and Natural. There are total five different shades : C13, N21, W21, N23, W23 (you can see from the above picture). 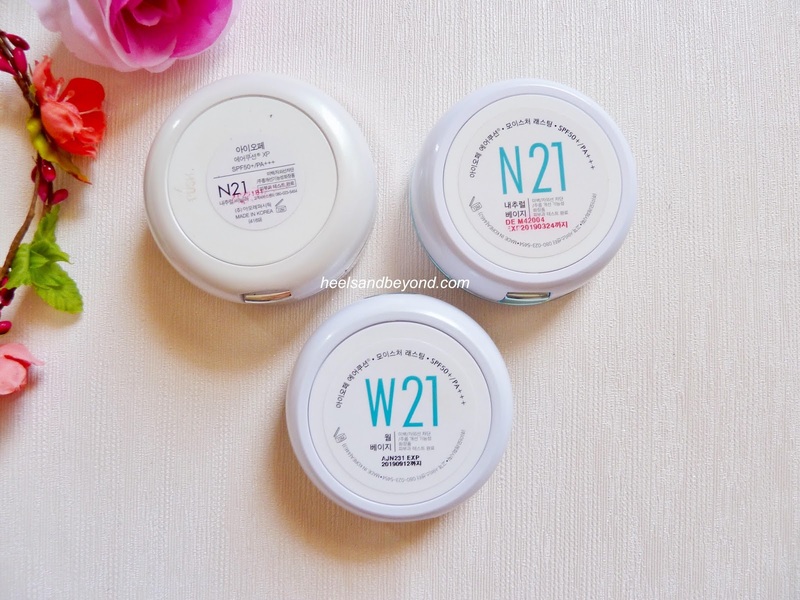 I used to wear the N21 shade (the old IOPE), but when I bought the new one, it's lighter and pinkish on my face. 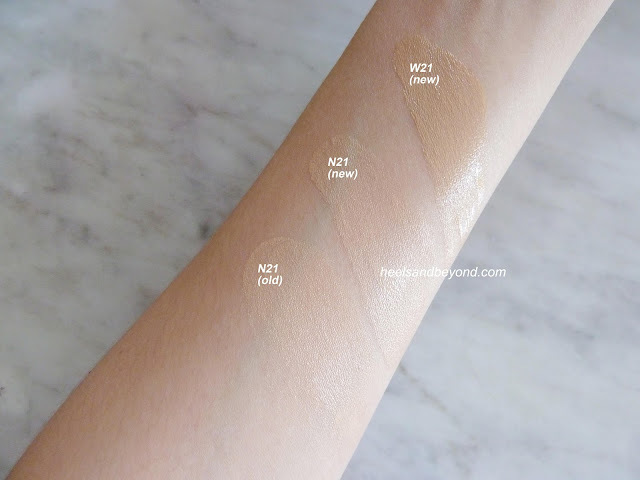 The N21 is different from the old one on my skin, I thought it's because I'm getting tanner recently, but I try my old N21 still blended well on my skin. So I did some research so I won't buy the wrong one again. Thank God, finally I found the right shade for me which is W21. I know what you're thinking, you probably said on the swatch on my hand, the W21 is too dark. 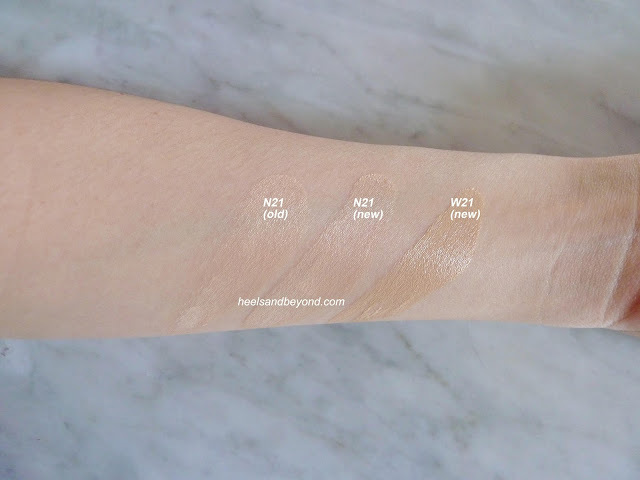 Here's the thing, this is just for reference, but if you want true match on your skin, it's best if you try/swatch on your face. So, you will get the right shade, the right shade will blend well with the color on your skin. I prefer W21, because it has more yellow tone than pink. Because this is Moisture Lasting, it's definitely more dewy on my face, which is good for me who always in the indoor room with air conditioner. But, when you're on the outside with the heat, it will probably a bit oily (I live in tropical island). At the end, it depends on your skin type. 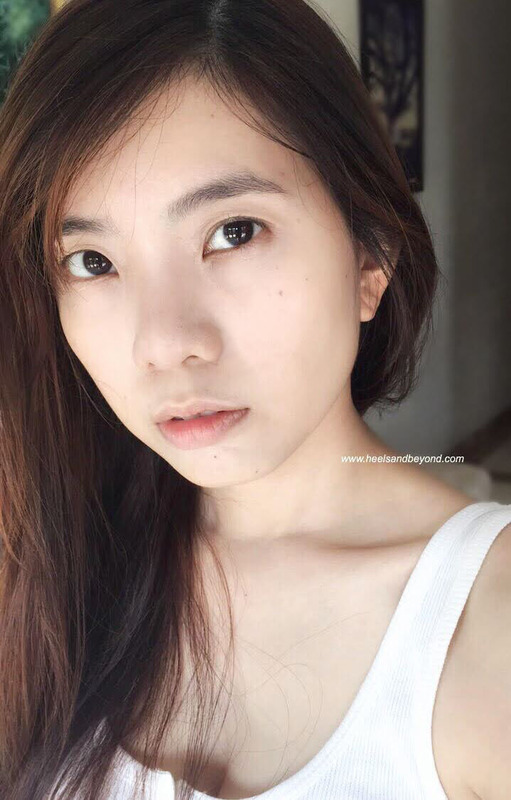 My skin is a combination of oily-dry skin type. I think this finish works really well for me. great article! I really need to try this. 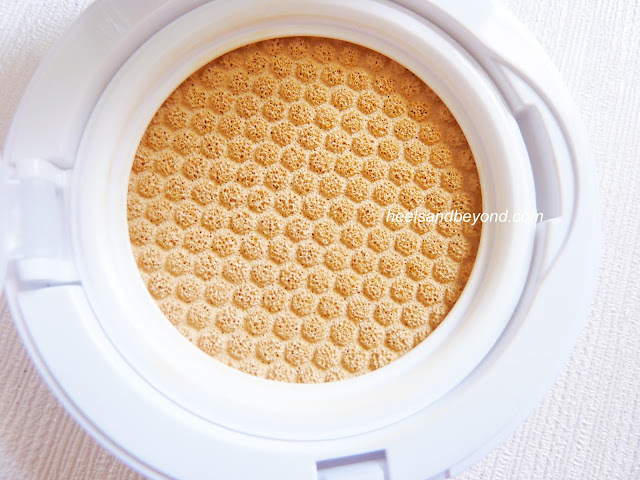 Did you used anything before applying the air cushion? Sounds like a great product, thanks for sharing! Sounds like a great makeup product! Looks great on you! I love how natural it looks on you. Wow you look positively radiant with it! I love that flawless finish! I am super cautious about anything I put on my face to because it's super sensitive! this make up looks amazing i need to try it!! I am having a dilemma over the shades as I used to wear the M23 shade for the old iope but now I am confused and deciding between N23 or W23. Any thoughts? Thanks so much for your reply. I wonder why neutral is leaning more towards pink tones though since it's supposed to be neutral.